I am getting behind on my posts and have several queued up. 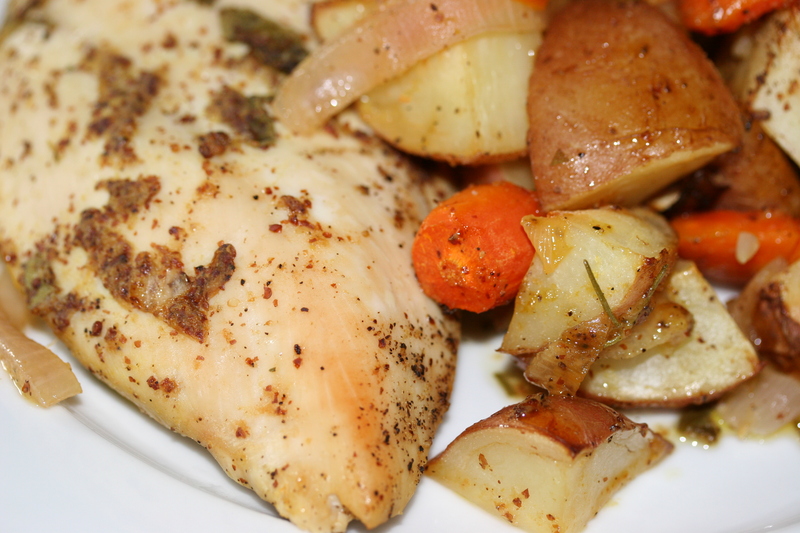 This one is pretty boring and simple but I think it goes to show you can create a healthy meal without a lot of fuss but that passes the taste test. 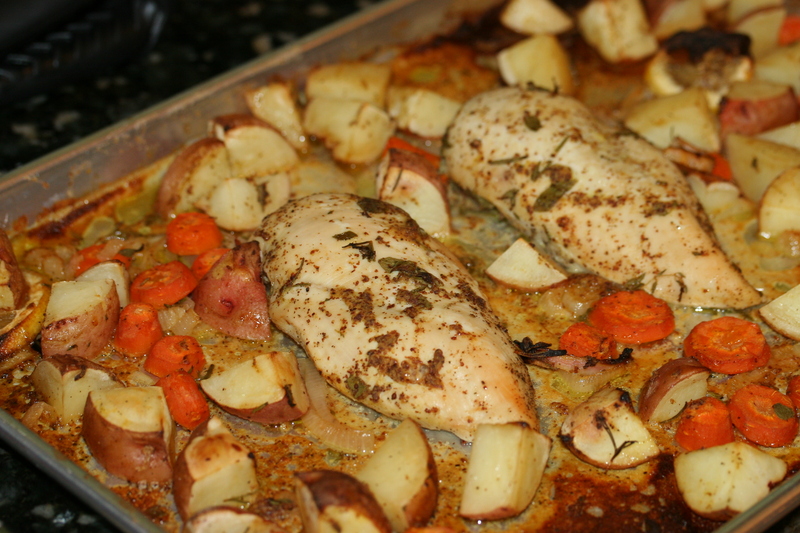 I think roasting chicken is probably my favorite way to cook it. Somehow it comes out with concentrated flavors and retains its juices really well. 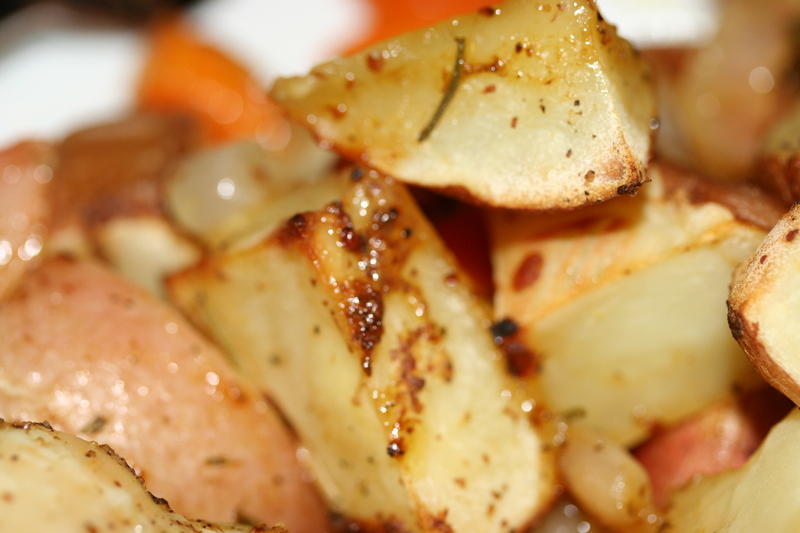 The root veggies come out with little crispy edges with super tender inside. 1. This is a bit embarrassing because it’s stupid simple. Preheat your oven to 400 degrees. 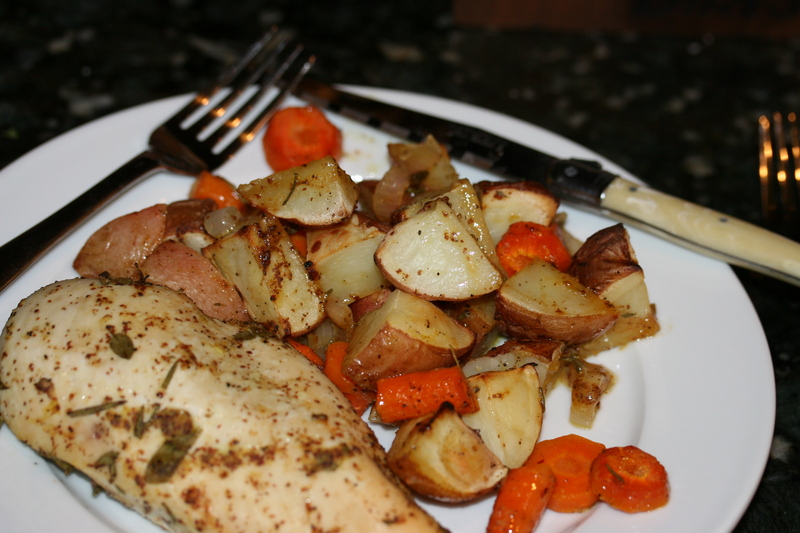 In a pan add your chopped carrots and potatoes along with the chicken breasts. 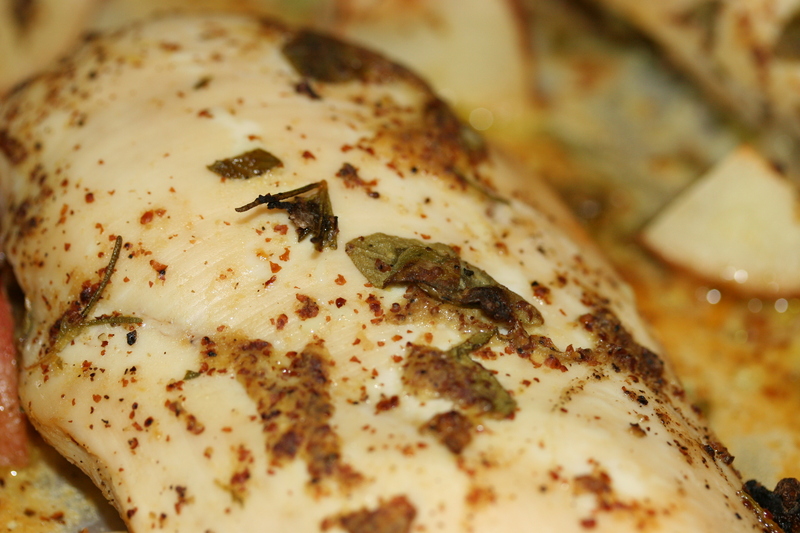 Rub your chicken breasts and veggies with olive oil, herbs, salt and pepper. Roast until the juices run clear. I add a splash of chicken broth about half way through when I flip everything.